If you would like to register to receive a Digital Alert email notice for when the digital editions become available please click here for Baking & Snack or click here for Milling & Baking News. To view the full archives for Baking & Snack click here. 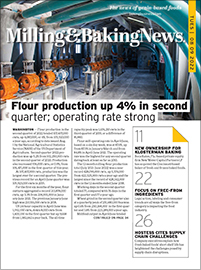 To view the full archives for Milling & Baking News click here. 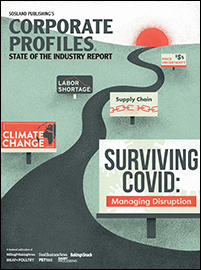 Corporate Profiles is an annual round-up of the news and events that affected the food and beverage industry’s largest companies during the previous year. It is accompanied by Sosland Publishing’s exclusive State of the Industry report that reviews the trends driving such product categories as grain-based foods, meat protein, beverages, prepared foods and others. Join us as we chronicle 100 years of connections, innovation and commitment. 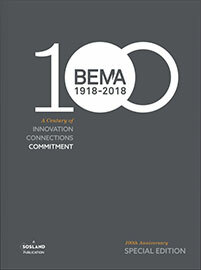 BEMA 100 looks back at the earliest days of baking equipment innovation and identifies the game-changers throughout its history. This exclusive issue is the official commemoration of BEMA’s inspired past and bold future. 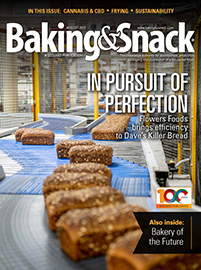 The official journal of SNAC International (formerly the Snack Food Association), SNAC World is a stand-alone magazine produced in conjunction with Sosland Publishing. It is distributed quarterly and free-of-charge to the association’s business and associate members. Topics include the latest snack trends, government affairs updates and information on education and networking opportunities for members. 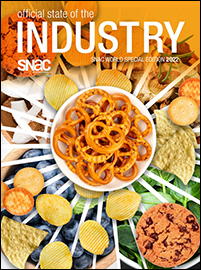 Additionally, SNAC World publishes a complete State of the Industry report each May that includes the most up-to-date data on the top snack categories.